Long live your patio season! Imagine spending time at the most exclusive venue in your area – your home. Our roofing system provides excellent protection against the rain or extremely hot sunny days by casting some shade. Imagine hosting a barbeque on your patio even when it’s raining, or staying cool under a natural light patio cover that blocks the scorching sun’s heat while still letting in the light. Your backyard will no longer be the overflow location for the parties you host, but rather your first choice for every major event. Our patio covers can be installed in a variety of settings, from brick, siding, and stucco walls to fascia and rooftop attachments. 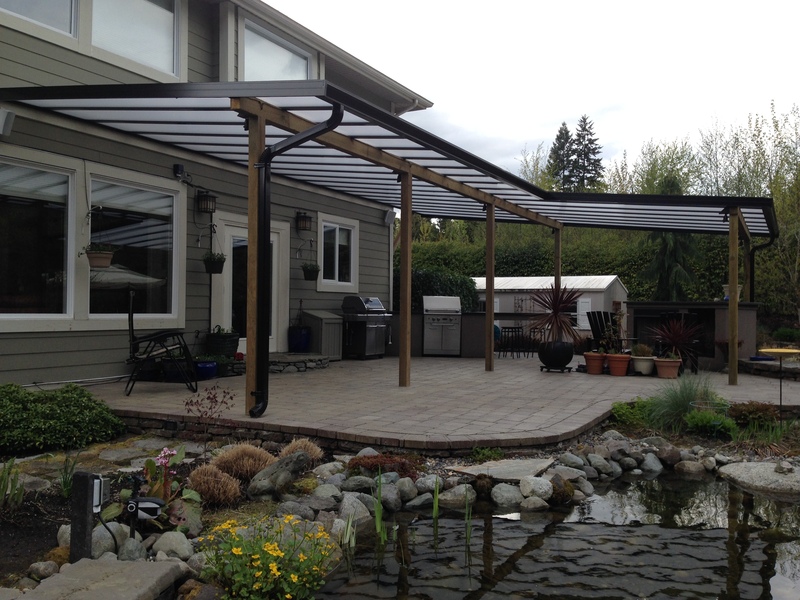 We also create free-standing patio cover structures to shelter your hot tub, pool, vehicles, or other cherished items. Virtually any application offers a versatile solution for your home in a wide range of sizes at the best price. We work with you to provide a customized solution for your backyard! All of Lumon’s patio covers can be fully or partially enclosed as a sunroom, solarium, or three-season room, if you’re looking for shelter from wind, bugs, and debris as well as the rain or scorching sun. Additionally, all of our patio covers can also be fully or partially enclosed as a sunroom or solarium at a later date, so you can feel confident in setting long-term goals for your outdoor living space, and get started on your outdoor living season today!